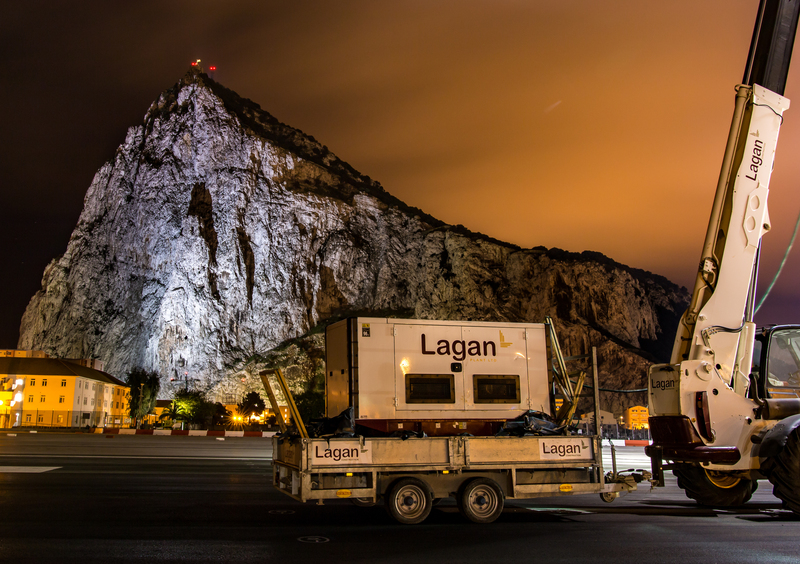 Lagan Aviation & Infrastructure successfully completed a £8 million project at RAF Gibraltar on behalf of the Defence Infrastructure Organisation. 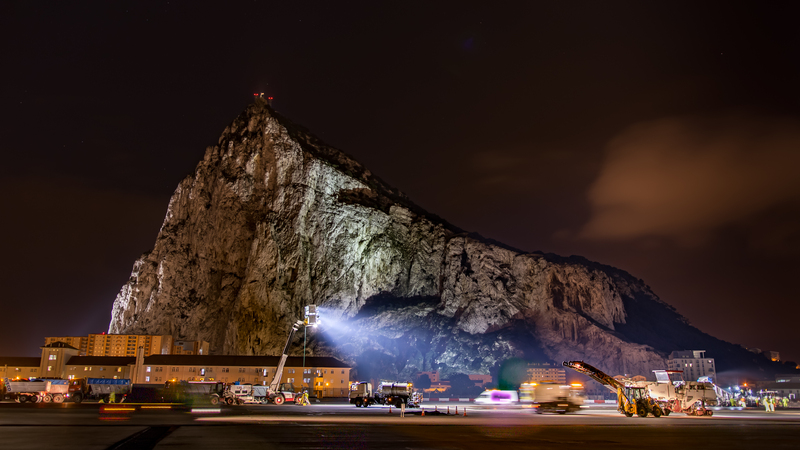 Work on RAF Gibraltar base included the repair and upgrade of the current runway surface as well as an upgrade of the airfield ground lighting. 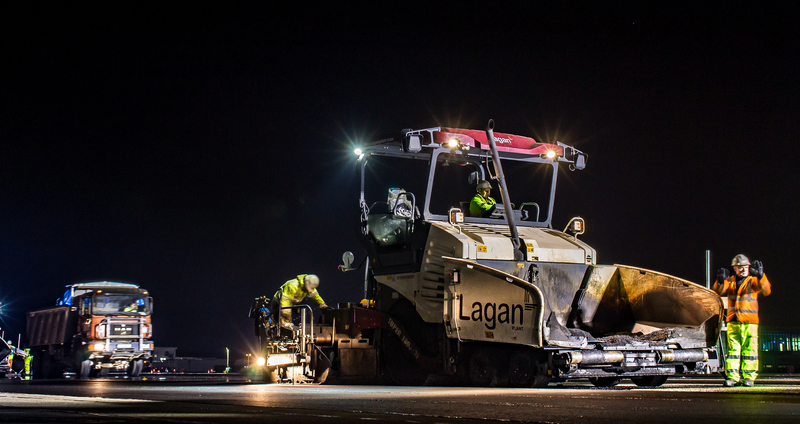 The airfield upgrades completed by Lagan Aviation & Infrastructure will provide a 20 year design life in compliance with the requirements of the Military Aviation Authority. 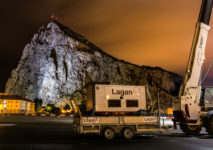 To complete the resurfacing work, plant and equipment owned by Lagan Aviation & Infrastructure was shipped in from the UK along with aggregates from the UK. Works included the slurry sealing of 200,000m2 of the runway strip. Installation of a new pit and duct system was carried out including 3 runway crossings. 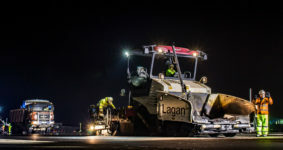 Temporary airfield ground lighting was installed to facilitate the delivery of the works. The Gibraltar airfield has a 6000 ft runway, running from east to west, with about a third of it projecting outwards into the sea to the west. 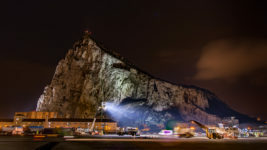 As well as being a military airfield, run by the RAF on behalf of the Ministry of Defence, Gibraltar is also an international airport servicing scheduled civilian flights to and from the UK. Work was completed while ensuring no disruption to normal airfield activities so that the airfield remained fully operational throughout the execution of the works.